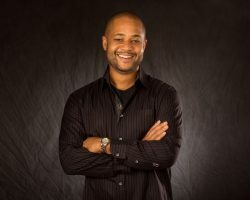 Pastor Bryan Loritts is the privileged husband of Korie, and the graced father of three sons- Quentin, Myles and Jaden. He serves the Abundant Life Christian Fellowship of Silicon Valley, California, as the Lead Pastor. An award winning author of five books (God on Paper; A Cross Shaped Gospel; Letters to a Birmingham Jail; Right Color/Wrong Culture and Saving the Saved: How Jesus Saves us from Try-harder Christianity into Performance-Free Love– which was given the Christianity Today Award of Merit), Pastor Bryan Loritts co-founded Fellowship Memphis in 2003, and later founded The Kainos Movement- an organization committed to seeing the multiethnic church become the new normal in our world. In addition to his responsibilities as a pastor, Bryan travels extensively throughout the world preaching the Good News of Jesus Christ at conferences and events, as well as serving on the board of trustees for Biola University and PineCove Christian Camps. His messages can be heard daily on the Salem Radio Network’s KFAX station.